Eimear Arkins is a multi-instrumentalist, singer and dancer from Ruan in County Clare. She holds eleven solo All-Ireland Fleadh Cheoil titles and has competed in all Ireland, European and World Dancing Championships. 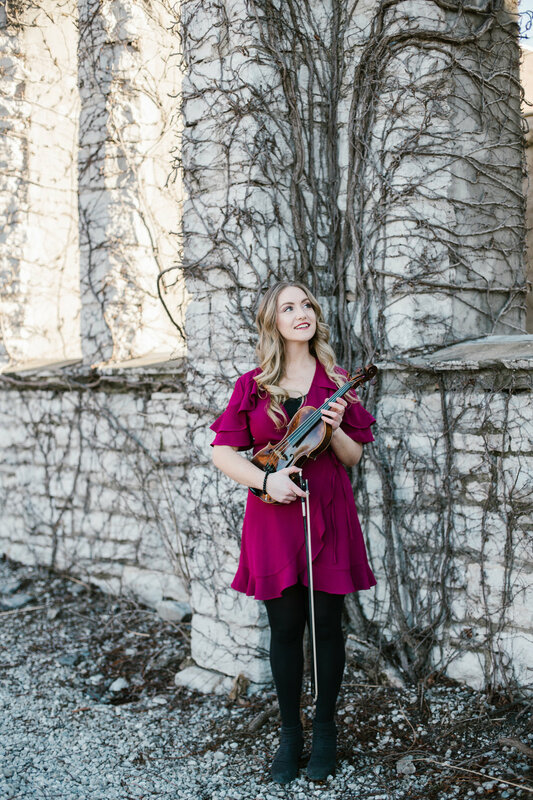 Eimear has toured extensively with Comhaltas Ceoltóirí Éireann on concert tours throughout Ireland, Britain, North America and Canada. She has represented Ireland in France as a performer at Rennes Expo and in Spain as a participant in La Noche Negra a cultural collaboration and exchange between the Mid-West of Ireland and the province of Asturias. “She is a lovely singer, wonderful fiddle player and a truly accomplished step dancer. Triple threat time! Count us as major new fans of her and what will surely be a terrific career. Eimear Arkins–remember THAT name!” Bill Margeson, liveIRELAND.